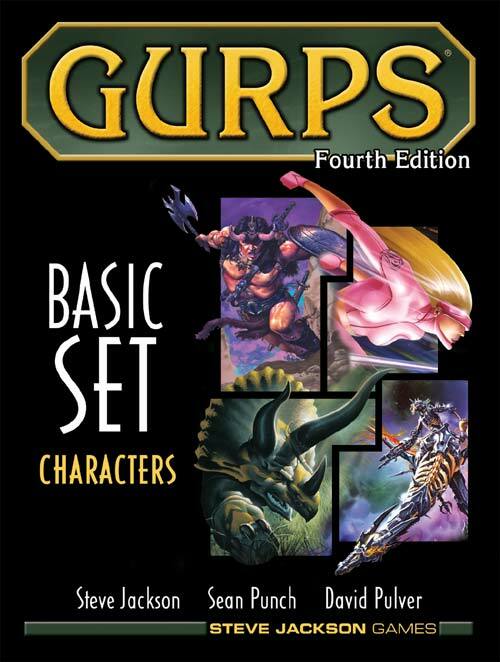 The following system of tables allows you to generate fun GURPS Fantasy / GURPS Dungeon Fantasy adventures on the fly. Feel free to use it for solo play, collaborative play, or just for inspiration when designing adventures for your traditional GM-and-Players group. A strong urge to maximize fun. If your PCs don’t yet have a lead on an adventure, you might want to play out a scene in which they look for work, listen to rumors, check with the local Guilds etc, in search of promising sites for exploration, dragons in need of slaying, or whatnot. If so, you might want to check out my rules for Searching For Adventure. 1 – How Perilous Is It? First, nominate a desired Peril Rating. Subtract 2 if you critically succeeded on your skill roll to search for leads, if applicable. 3-5 The employer thinks it’s more dangerous than it is. Use the nominated Peril rating, but calculate the Reward as if the peril were one point higher. 6-10 Use the nominated Peril rating. 2 – How Much Does It Pay? 3-4 Excellent rates, plus Fame and Glory! 7-8 Standard rates, plus Fame and Glory! 12 Low rates – but with Gratitude! 14+ No employer, hence no payment. This just looks like a promising site to explore for fun and profit. When the time comes to determine the Adventure type (under Step 5, What Do We Have to Do?”), just declare this an independent Explore! Adventure. But Give Me Hard Numbers! Sure… but these won’t apply to all types of adventures – just to most of them. Fame and Glory: each PC gains Peril social points. Gratitude: each PC gains Peril/2 social points. Gratitude: each PC gains Peril/2 social points. “N” just means the number of PCs involved. The term originated in GURPS Dungeon Fantasy Adventures 1: The Mirror of the Fire Demon. Social Points are character points that can only be spent on social advantages such as Ally, Claim to Hospitality, Contact, Favor, Patron, or Reputation, as appropriate to the adventure. They can also be used to buy off the negative versions of these: Enemy, etc. 3 – How Far Do We Have To Go? 3-10 No particular rush – but wandering monsters might get us if we dawdle somewhere dangerous! 11-12 The reward is dwindling! The reward, if any, loses 10% of its starting value for every unit of time that passes beyond the expected time. 13 We’re on a countdown to disaster! 1d6-2 units of time after the expected time elapses, the adventure ends and the whole reward is forfeited. 14 Our foes are multiplying! For every unit of time that passes beyond the expected time, add one extra foe to every encounter. 15 Our enemy’s power is growing! For every unit of time that passes beyond the expected time, add +1 effective Peril to the Villain encounter. 16-18 We’ve got to beat the competition! Someone is trying to complete the adventure before you! When you reach the Goal, roll 3d6. Add a bonus for every unit of time by which you beat the expected time, and a penalty for every unit of time by which you exceeded it. On an 11 or less, you’ve beaten them to it. On a 12-13, they’re there right now! On a 14+, they’ve beaten you and destroyed the artifact, made off with the loot, or similar. If (when?) a fight breaks out, build them as a deadly encounter. 5 – What Do We Have To Do? This is the big one! First determine the Adventure Type, and then click through to determine further details. Once you’ve determined the Adventure Type, click through to appropriate Adventure Type page and roll for further details. Then you’re done! (If you like) Though if you want even more details, you might try some of the optional table below. Note that as a general rule the Employer’s or Victim’s Status should not exceed the Peril of the adventure. This doesn’t preclude you being employed by the King, for instance; it just means that, in cases of that kind, your direct Employer is a lackey of the King, rather than the King himself. Save really epic plots like “Rescue the Dragon Queen” for Peril 7! 1-3 1 Nobility The Baron’s scullery maid; the Palace groomsman; the Duchess’ lady-in-waiting; the Dragon Queen. 1-3 2 Foreign A poor Halfling, far from the Goodhills; two Elves from the Greywood; the Dwarfish ambassador. 1-3 3 Travel/Transit The stableboy; the coachman; the Captain of the good ship Farflung; shipmaster of the White Sea fleet. 1-3 4 Magic A girl with a fairy ribbon; a hedge-enchanter; the warlock of Southwark; the Seventh Sorceress herself. 1-3 6 Military A crippled veteran; a strapping young guardsman; the captain of the third company; the Lord General. 4-6 1 Mercantile The errand-boy for the market stalls; a caravan driver; White Falcon Trade Co; the Merchant’s Guild. 4-6 2 Craft An old woman who weaves; the village blacksmith; the Guild of Taylors; Nelialian the Elven smith. 4-6 3 Agriculture A child born to serfdom; a peasant family; a prosperous farmer; a very wealthy franklin’s only daughter. 4-6 4 Entertainment The Tavern’s serving maid; a down-at-heels minstrel; a famous bard; the Prince’s Master of Revels. 4-6 5 Underworld An escaped serf; a pickpocket; a gang of thugs; a crime lord; the Lost Brotherhood of the Night. 4-6 6 Underclass A slave; a beggar; a family of lepers or outcasts; plague-bearers; slavers; slumlords; the slaver’s Guild. 1-3 A person – or perhaps an organization. Roll on the “Who is the Employer” table, above. 4-6 A monster – or a monstrous organization. For an appropriate monster, see the post on Monsters (link to come!). If you just want a random answer fast, roll on the “Random Monster Type” table, below. 3-6 A classic Dungeon. Either choose a dungeon type, or determine it be rolling on the table below. Now you really are done, and it’s time to put all the elements together and work out what it all means! Once you’ve found a lead on an adventure, determined what that adventure is, and decided to pursue it, it’s time for the characters to make some preparations for it – if they can! Negotiate a Better Deal with your employer to get a better rate, or to cover up-front costs, travel expenses, and so forth. Research the Journey itself, to familiarize yourself with the route, its hazards, etc. Then it’s time to set off! After making your preparations, the next step is to travel to the adventure site. If your adventure site is “Here,” then this is trivial: you just need to take a short walk. But if your adventure site is further away, it’s a more dangerous affair: if you want some help running this collaboratively, then you might like to take a look at my guidelines for Journeys. In any case, don’t forget to mark off Units of Time as you go! Once you arrive at the adventure site, you can begin trying to search in earnest. Unless it’s obvious from the adventure type description that your adventure works differently, the object of your quest will be at the Goal. This generally means that the knowledge you seek, the object you’re trying to retrieve, or the monster you’re trying to slay, is to be found deep down in the Dungeon! If you want some help running this collaboratively, see my system for creating Dungeons during play. No adventure is complete without at least the possibility of a surprising plot twist! But how to come up with one? If you’re a GM, well, this is your job. But if you’re playing without a GM, then the following tables might be handy. (And to be honest, GMs might find them handy for inspiration, too). Refer to your adventure type on the left, and then roll on the appropriate table(s) when the time comes. Compete! When you’ve met the conditions for success, roll on the We Did It! What Now? Table. Convince! When you’ve met the conditions for success, roll 1d. (Need a dice roller?) On a 1-3, roll on the But Are They What They Seem? Table. On a 4-6, roll on the We Did It! What Now? Table. Explore! When you’ve met the conditions for success, roll on the We Did It! What Now? Table. Fetch! When you reach the Goal, roll on the Is It Really Here? Table. Investigate! When you reach the Goal, roll on the Is It Really Here? Table. Protect! If your job is solely to guide someone or something through the wilderness, then when you’ve reached the end of the Journey, roll on the We Did It! What Now? Table. If your job involves anything else, roll 1d6. (Need a dice roller?) If 1-3, after completing half the Journey, or when the first attack occurs (whichever comes first), roll on the But Are They What They Seem? Table. If 4-6, when you complete the mission, roll on the We Did It! What Now? Table. Sabotage! When you’ve met the conditions for success, roll on the We Did It! What Now? Table. Slay! Roll 1d6. (Need a dice roller?) On a 1-3, when you reach your target’s location (or the location of your first target, if there’s more than one), but before fighting it, roll on the Is It Really Here? Table. On a 4-6, when you’ve met the conditions for success, roll on the We Did It! What Now? Table. Wrapping up the adventure can be a kind of mini-adventure in itself. The following are my rules for concluding the adventure. So, How About That Reward? 3-4 Extravagant reward: +50% financial and social. 5 Extremely generous reward: +20% financial and social. 6 Reward and additional glory or gratitude: +20% social. If no social, gain 1pt. 8-9 Reward and additional work: roll for another adventure, with the option of re-rolling the Reward. 10-11 Full reward, as offered. 12 Stingy reward: -20% financial and social. 13 Really stingy reward: -50% financial and social. 14 When you arrive, you find that the employer is missing! Roll up an Investigate adventure. 16-18 Betrayal! A Deadly Encounter, rated at the current Peril! If you win, gain the promised Reward. If you lose, roll up an Escape adventure. At the end of the adventure, a GM would usually award some experience points to the characters on the basis of how well they did during the adventure. If you’re playing without a GM, how do you know how may XP you’ve earned? Yes, this system solves this problem using a table. Surprising, no? When everyone agrees that an adventure has come to a close, for good or ill, roll 3d6 once on the table below. The result applies to the whole party. As you can see, the table is fairly harsh on those who are not willing to Raise the Stakes during the adventure! 2 or less 3 character points each. 3-6 2 character points each. 7-11 1 character point each. Subtract 4 if everyone agrees the adventure was a raging success. Subtract 2 if everyone agrees the adventure was a success. Add 2 if everyone agrees the adventure was a failure. Add 4 if everyone agrees it was a complete disaster. If the adventure was a success, the group can also subtract 1 for every time they “Raised the Stakes” during the adventure. If the adventure was a failure, all those bonuses are worthless. Subtract 1 for every full session of play that was devoted to the adventure.